Remember when you were a kid you would do things in slow motion? Okay, okay, it was last Tuesday, but still, in your mind it was super cool just like the movies. Well, that’s what’s happening in this week’s episode of Legend of the Mantamaji: Behind the Scenes. We find the team rehearsing more stunts that take place in slow motion with lead actor Phillip Michael, learning on the fly. Watch the video below and please SHARE & TWEET it out to friends! The past couple of weeks have been great for the Legend of the Mantamaji team. 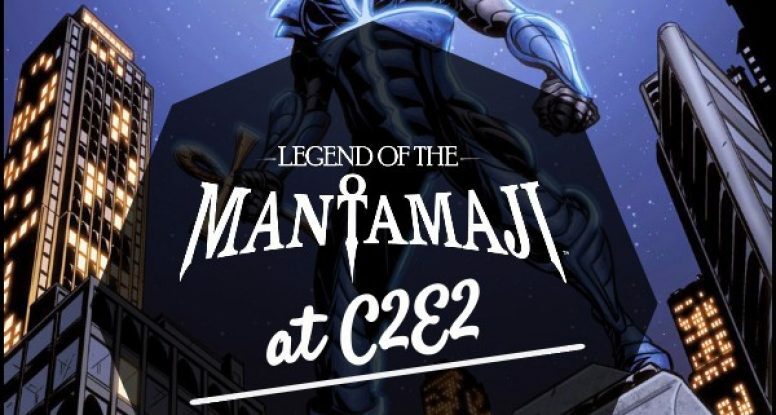 The Legend of the Mantamaji: Behind the Scenes web series began and we’ve been hearing from readers and new fans about how much they enjoy the series so far and that they are looking forward to the Live Action Short (so are we). In cased you missed an episode or two, here is the entire series so far. Be sure to like the videos and share with friends, we need your support! And don’t forget to pick up the graphic novels that started it all on Amazon, Comixology, Barnes & Noble (and in B&N stores) and on our website! 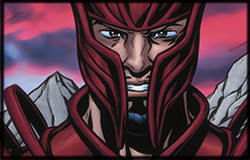 Episode 2 and 3 of Legend of the Mantamaji: Behind the Scenes is Here! Guess what?! 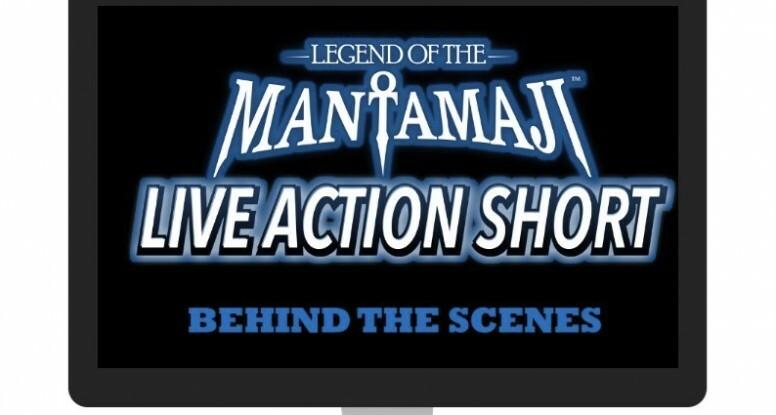 Another episode of “Legend of the Mantamaji: Behind the Scenes is out! And this we’ve released both episode two and three. Take a look at prop and set decorating and check out what it takes to get the superhero run just right. 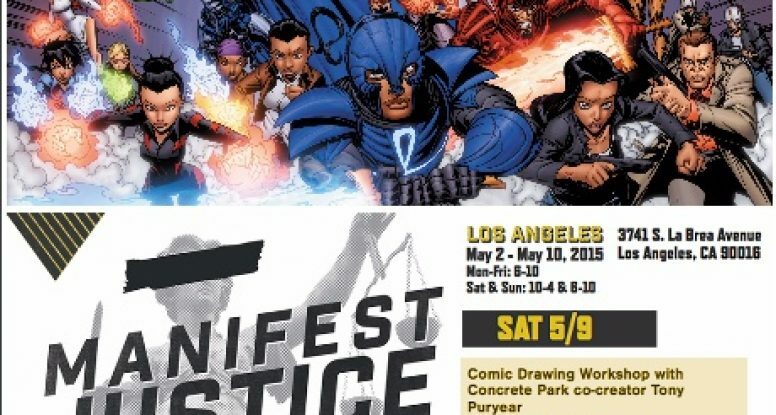 If you’re in L.A. or the surrounding area on May 9th, make it a priority to come out to take part in the Manifest Justice events. Eric has been invited as a panelist for the “Coloring The Future” moderated by Erika Alexander. Participants will discuss how they are creating new worlds in color and impacting how society thinks about race. The entire Manifest Justice event is several days of dialogue, events and activities with a focus on empathy, accountability, economic opportunity, compassion, dignity, power and opportunity for all communities. 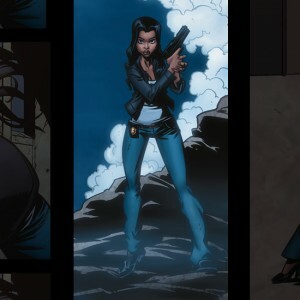 What does it take to bring a graphic novel to life? That’s the question being answered in the new web miniseries – Legend of the Mantamaji: Behind the Scenes. 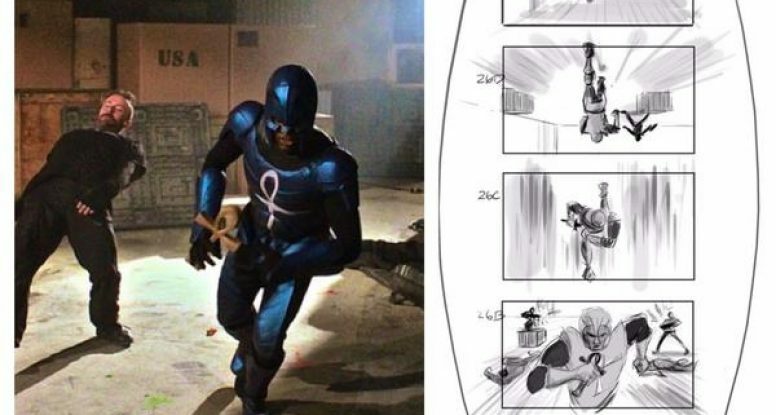 The series follows Legend of the Mantamaji creator and TV director Eric Dean Seaton and his production crew over three days as they bring a key scene from Legend of the Mantamaji Book One to life for the Legend of the Mantamaji Live Short. Most people have already seen Seaton’s work without realizing it. Seaton has directed more than 200 episodes of 38 hit TV shows including NBC’s Undateable, BET’s Reed Between the Lines, Disney’s That’s So Raven, and Nickelodeon’s Nicky, Ricky, Dicky and Dawn. In fact, you’d be hard pressed to find a show on Nickelodeon and Disney from the last 10 years that Seaton hasn’t been involved in, a formidable experience that viewers get to see on display throughout the Behind the Scenes miniseries. Seaton however, isn’t looking to show off for the cameras, instead he wants to give back. The 12 episode series publishes weekly with the first episode clocking in at four minutes and the other episodes coming in at an internet ready viewing time of two minutes each. The series leads up to the launch of the eight minute film Legend of the Mantamaji: Live Action Short. Check out the books that inspired the new web series today! The brainchild of one of the hottest directors on the small screen, Eric Dean Seaton’s Legend of the Mantamaji, with its high-flying adventure, brilliant art and fast-paced action, is landing at the Chicago Comic & Entertainment Expo this weekend. The series brings together diverse characters that are not tied to stereotypes and has gained the recognition of critics, fans and award committees alike. With ancient knights, fire swords and 3,000 year old legends, Legend of the Mantamaji is just the kind of graphic novel fantasy lovers dream of – and the kind of series that is changing the face of superheroes in comics. 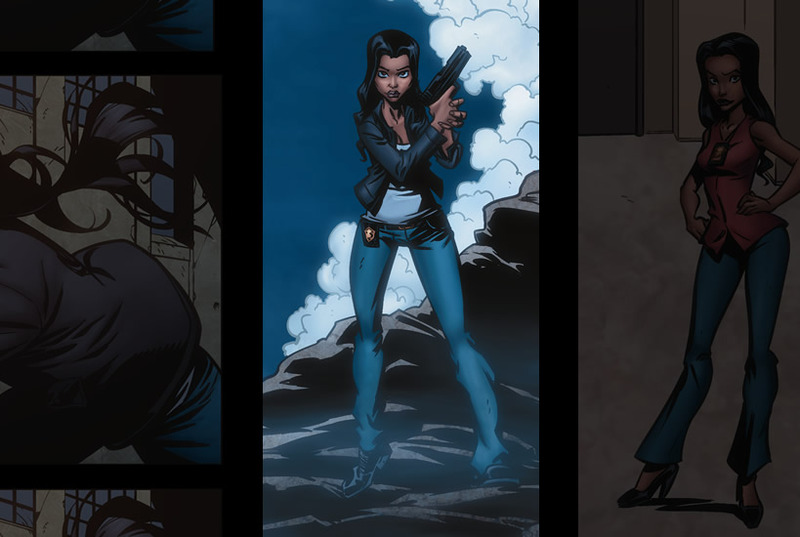 “It shouldn’t be unusual to see ethnically diverse characters and strong women in the genre. 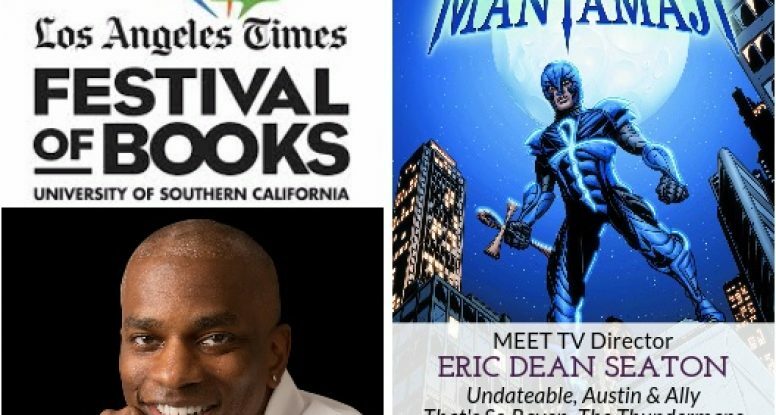 Yet, there is still a problem with representation in sci-fi and fantasy – despite readers’ requests,” Eric Dean Seaton, television director [Undateable, That’s So Raven, Austin & Ally, Bella and the Bulldogs] and creator of the Legend of the Mantamaji series, said. 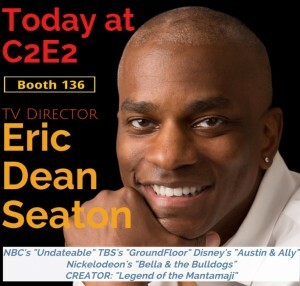 With thousands of comics and pop culture lovers attending this weekend’s Chicago Comic & Entertainment Expo, Seaton looks forward to connecting with fans of the series -and meeting new ones – at Booth 136, Thursday through Sunday, at McCormick Place — 2301 S. Lake Shore Drive. “At its core, Legend of the Mantamaji is a fantastic adventure series inspired by my years of directing really great shows. People want good stories that have heart, are smart, funny AND represent the broader world,” Seaton said. You don’t have to be at C2E2 to pick up the series! Read a sample chapter and pick up in our store today! 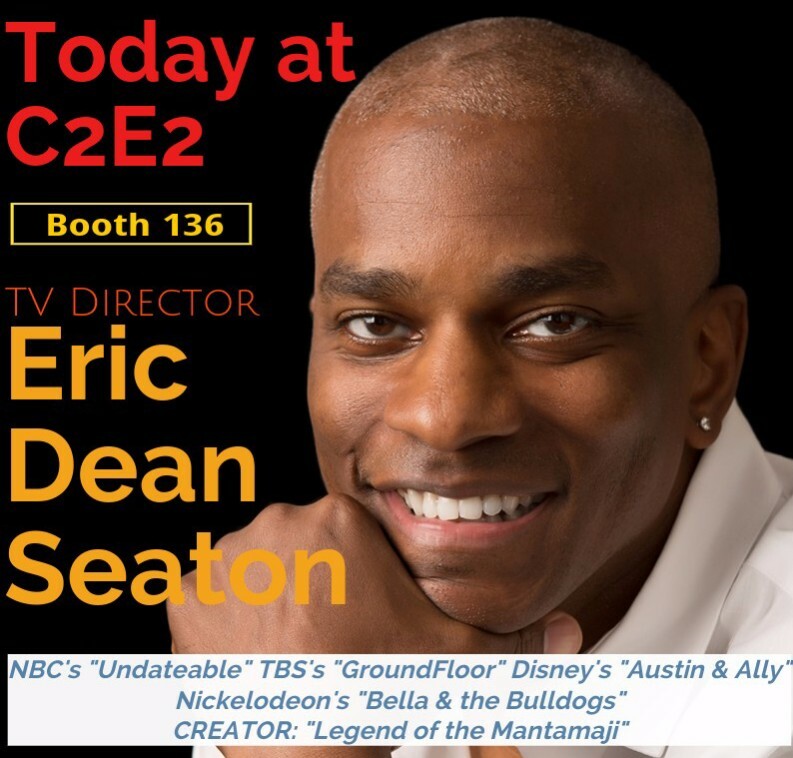 “Representation matters, and not just to minorities,”Eric Dean Seaton, television director and creator of the Legend of the Mantamaji series said. “We are sending kids out, unprepared, to encounter a world that is much more diverse and rich than it is made to appear in literature and comic book culture. We are stunting their imagination and their futures with one-sided stories.” With an expected 150,000 book lovers attending this weekend’s L.A. Times Book Festival, Seaton hopes to connect with fans and gain new ones of all backgrounds and ages at booth 743 Saturday and Sunday. The Legend of the Mantamaji series brings together diverse characters not tied to stereotypes and has gained the recognition of critics, fans and awards committees alike. Nominated for a prestigious Glyph Comics Award and riding high off the release of the third book in the series, Seaton recently expanded the national book tour to 13 cities in the U.S. and Canada. Legend of the Mantamaji tells the story of Elijah Alexander, an Assistant D.A. who has learned that his childhood storybook legends are actually the true stories of his heritage and that he is the last of a race of mystical knights known as the Mantamaji. After realizing he’s only part human, Elijah struggles with the shift in his world and becomes a hunted man charged with ridding the world of an ancient evil no other Mantamaji has ever been able to defeat. The full-color, action packed series has hair-raising plot twists and smart storytelling for all superhero fans. The books feature artwork by Brandon Palas, colorist Andrew Dalhouse who has worked with From Boom, Dark Horse, Image, Marvel and DC and lettering by Deron Bennett, who was nominated for an Eisner Award for his work on titles like Jim Henson’s Dark Crystal, Jim Henson’s Tale of Sand and Helldorado, among others.